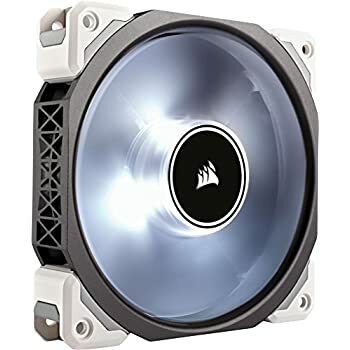 Amazon's Choice for "corsair sp120"
Sold by Nkomax Co., Ltd and ships from Amazon Fulfillment. 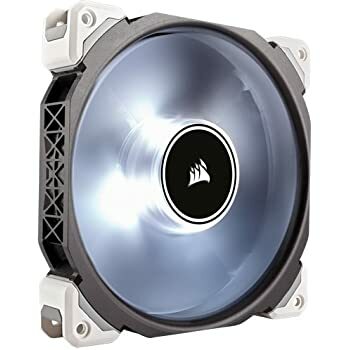 The Corsair SP120 RGB LED High static pressure PC case fans combine excellent Air delivery with RGB LEDs. 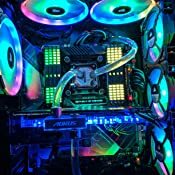 Designed to perform quieter and provide better airflow than standard case fans, the SP120 RGB LED fans offers bold lighting with vivid lighting effects. 2 - After forcing the firmware update the LED strip plugged into the 2nd slot on the PRO hub just turned off and stopped working completely.... after much frustration and unplugging and replugging I finally SWAPPED the plugs in the 1st and 2nd slot(the fan hub plug and the LED strip), and that finally fixed it for whatever reason..
5.0 out of 5 starsBrightest RGB fans you can get! 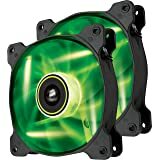 These fans are BRIGHT! 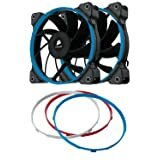 I was about to buy the NZXT AER fan kit, and these dropped just as I was building my new rig. 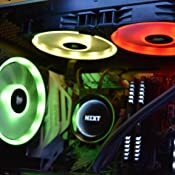 I'm very glad these popped up, because honestly they are the brightest RGB fans I've ever seen. 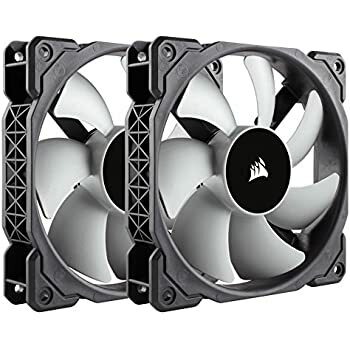 These are wayyyy better than the NZXT ones, the corsair HD series, and the thermaltake riing series too. They integrate well with Corsair Link 4, and the lightning controller that comes with it is very capable. 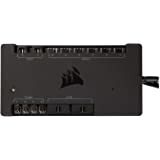 I have 6 fans off it, 3 140mm and 3 120mm, and have 4 corsair lightning strips off the 2nd port of the controller. 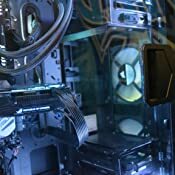 The biggest hassle is the dual cables coming off each fan - one for the lightning controller, one PWM for a fan header. 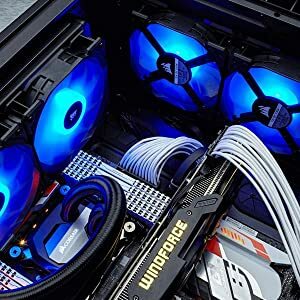 I was able to use a 2 way splitter for the 6 fans and run them as 3 off a motherboard fan extension header no problem, but adding the other cable to the lightning node created a cable mess in my case that was only easy to hide due to my Carbide air 540 case. If you get a lot of these, make sure you have decent room behind your rear panel (and pray if you have a full tempered glass case). One tip I can add is, when you add in your fans, mark down which one is 1, 2, 3, etc. Then attach them to the lighting node in that order, or you can have fans that run out of sequence if you want a "chasing" effect. Speaking of effects, the ones programmable in CL4 are great - there's about 14, with a few being just small variants of one. Pong is pretty cool, and rainbow wave really shows off the full RGBness of them. Only downside to CL4 is that when you go to apply the settings, you have to click "copy to..." then make sure all the fans are clicked on the right side and click ok. It's kind of a pain to do every time, but there's a lot of creation here, and the fans are BRIGHT. They overshadow almost everything, but they're fantastic and totally awesome. They are pretty expensive though. 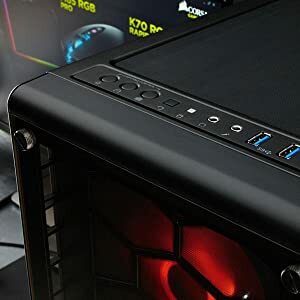 Worth it to me, may not be to you, I wanted an RGB insanity case long before this craze came along so I'm happy with it. For the price I could have gotten all Noctua fans and had fans that would last longer than me, my kids, grandkids, and probably several generations more, all the while having fantastic air flow and pure silence, but RGB boosts performance in a whole other metric: swag. These HD120's increase swag by approximately 87%. 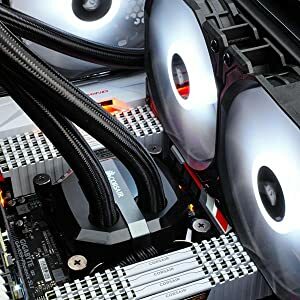 I got two of these triple sets, so my computer's swag metric increased by approximately 174%, meaning it now picks up chicks better than I ever could. 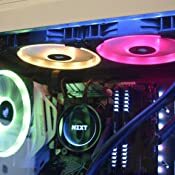 That's right, with these fans my computer is the wing man you take to bars even though they end up leaving with the girl you had your eye on. Regardless, I really love these fans. 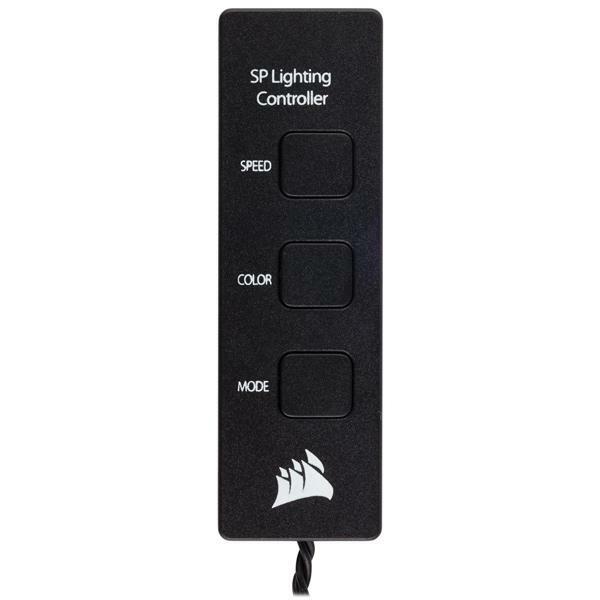 The control through Corsair Link, and using the Commander Pro, is great, offering tons of color options and several style options. You can set these up to respond to the temperature of any component you want that has temperature monitoring, which is awesome. 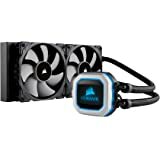 The air flow is variable AF- I have the four on my cooler cranked a little higher during gaming streaming or editing, and the two on top of my computer running lower all the time as a gentle exhaust. 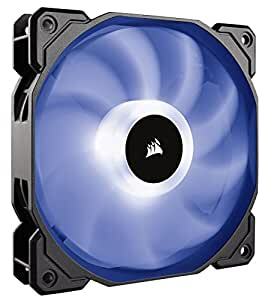 They're pretty quiet if you set your fan curves well. If you crank them at 100%, they sound like a turbine. 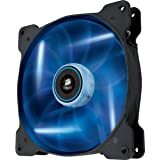 At my computer's hottest, I've only ever had these fans at about 60%, max. 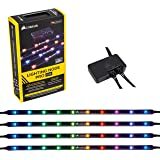 These are premium, and the RGB effects are second to none. 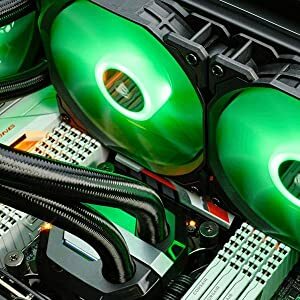 I highly recommend these things if you want a computer that's sexier than you. The fans are decent in the sense that they move air and are relatively quiet, but the RGB functionality is suspect at best. They are pretty when all the LEDs work but that usually isn't the case for me. 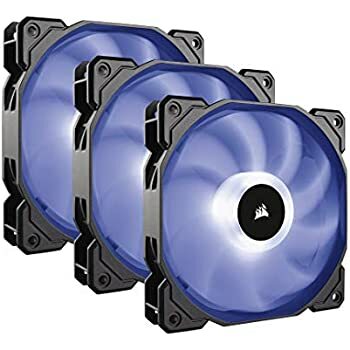 I have three of these fans and only one of them works fully. The others will usually have one section of LEDs out but *sometimes* they will all work if I reseat the cable several times... but usually not. 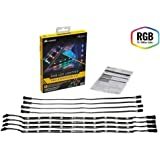 Also, I hate Corsair's RGB accessories and software. 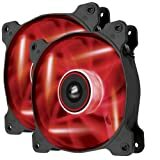 The hubs are very cheaply made and are [of course] proprietary. In both of the ones I've bought, some of the ports don't even work and I don't think they could have gone any cheaper on the plastic and general build quality. The wiring is unruly and also of low quality. 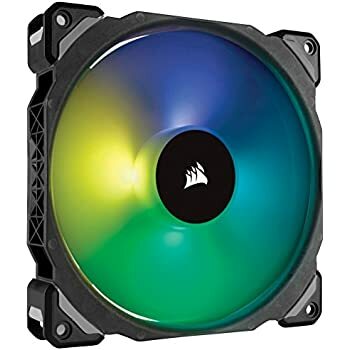 The Corsair software works as it should sometimes, but when I lock my workstation it stops working and the fans go into their default rainbow pattern until I log back in. Super annoying because it makes my computer look like a kids' cartoon festival.